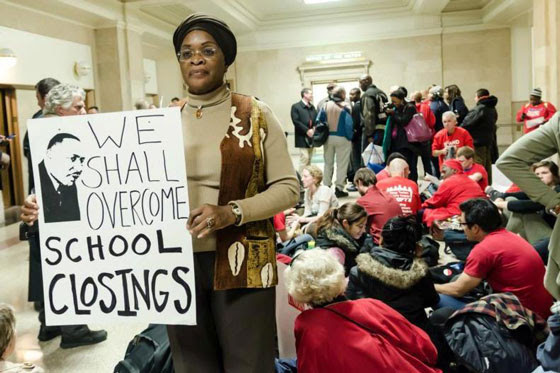 In addition to her plan to repurpose closed schools, Lightfoot has taken no stance on issues of concern to CTU members. Cook County Board President Toni Preckwinkle, endorsed by the CTU House of Delegates, supports expanding bargaining rights for negotiation on class size and special education staffing; increasing the number of counselors, social workers, school nurses and other clinicians; and ending job outsourcing such the failed Aramark janitorial deal. Lightfoot has been silent on expanding bargaining rights that are central to the work of our members, at the same time she’s been endorsed by a growing number of political players and Emanuel supporters, from Gery Chico and Paul Vallas, to finance executive John Canning. Finally, the CTU is a union of educators dedicated to fighting for economic and social justice. Toni Preckwinkle is committed to ridding the city of the gang database and has a long history as a champion of racial justice and reform of the criminal justice system—including expunging juvenile records and curbing cash bail. The Lightfoot record is troubling. In her work as both a private corporate attorney and a public appointee for the Richard M. Daley and Emanuel administrations, she has played a role in the turmoil that exists between the police and many communities of color today. This entry was posted on Thursday, March 21st, 2019 at 7:51 pm and is filed under Uncategorized. You can follow any responses to this entry through the RSS 2.0 feed. Both comments and pings are currently closed.